You have the right to cancel your contract during the free look period. Annuities are insurance contracts that provide you with monthly income benefits. Insurance firms convert your purchase premiums into an income stream through a process known as annuitization. You cannot reverse the annuitization process; however, state laws require annuity contracts to include a get-out clause, known as a free look provision, during which you can cancel your contract. Deferred annuity contracts typically have terms that last between five and 25 years. You can surrender the contract prematurely, but penalty fees for premature redemption can top 20 percent of the contract value. You can buy an annuity with tax-deferred or previously taxed funds. However, the funds inside your annuity grow on a tax-deferred basis, and your withdrawals are taxable. You also incur a 10-percent tax penalty if you make a withdrawal prior to the age of 59 1/2. An annuity free look provision may enable you to avoid surrender fees and possibly some of the tax penalties. When you buy an immediate annuity, the annuitization process occurs shortly after you buy your contract. With a deferred annuity, your funds are invested for a number of years in mutual funds or fixed interest accounts after which annuitization occurs. Your annuity contract takes effect on the day that you sign the contract. In most states, you can generally get a refund and cancel the contract at any point during the 10 days immediately following the purchase date. The state of California extends the cancellation grace period to 30 days for seniors. In other states such as Minnesota and North Carolina, the free look period on a new contract lasts for a minimum of 10 days regardless of your age. When an annuity contract reaches maturity, you can protect the tax-deferred status of your investment by rolling the cash into another annuity contract. Contract exchanges are subject to the same type of free look provisions as new contract purchases. Most states provide you with a minimum 10-day free look period on exchanges, although insurance firms may provide you with a longer time frame. In Nevada, you have a grace period of 30 days or more on exchanges, while the free look period on new contract purchases lasts just 10 days. Other states, such as Minnesota, have the same 10-day grace period for both new purchases and exchanges. Generally, annuity withdrawals beyond the grace period are subject to surrender penalties. However, many contracts include a clause enabling you to make annual penalty-free withdrawals amounting to up to 10 percent of your contract value. 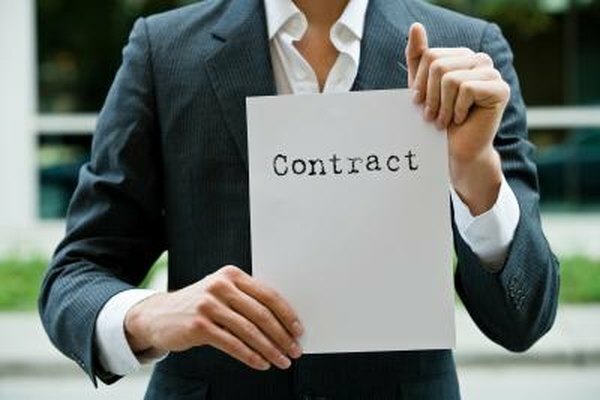 Additionally, some contracts include a bailout clause through which you can withdrew your funds penalty-free at any point during the contract term. You can activate the bailout clause if the interest rate on your contract ever falls below a predetermined minimum.